I’ve been on a bit of a hiatus due to my video card finally giving out on me. Three years is a long time and it served me well during that time, so i wasn’t really surprised it finally gave out. Unfortunately it made it impossible to grab and sort of in game footage or screenshots of any quality. While i do have a bit of a backlog of kill videos from finishing up Heroic Highmaul, i have nothing new from Blackrock Foundry. I’ll be playing catch-up for a bit but it should be fine. 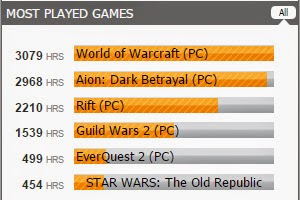 The real surprise came when i checked up on my Raptr play times after neglecting it for a while. I knew it was going to happen at some point, and it finally did. 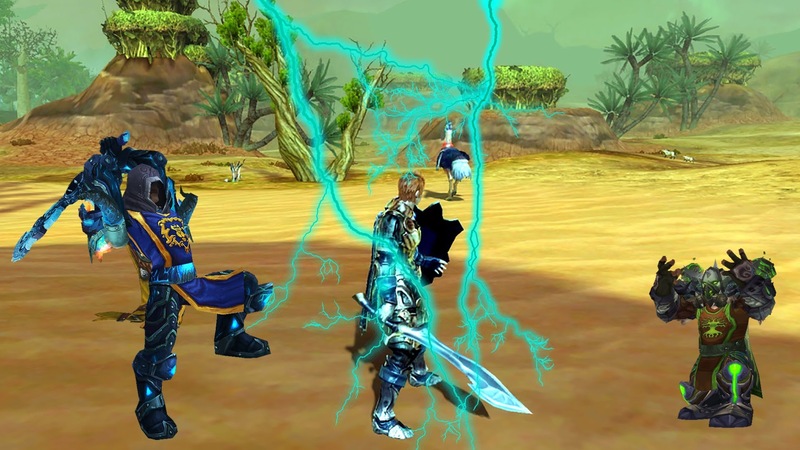 WoW is now my number one played game, eclipsing the mistake that i like to call Aion. I’m sort of glad i bumped that horrid game off my top spot but also shocked at the game that did it. I never intended to be playing this game for this long at this time. Funny how things sometimes work out.